"I demand to speak to the ambassador! Bring me the English ambassador! I am the son of a duke!" Toad&apos;s voice echoed down the long, dank hall, repeated back with mocking yells from other inmates who had been swept up off the dark streets of Marseilles by the gendarmes. Locked in a room the size of a cricket field with dozens of other drinkers and gamblers, mixed in with the and addicts and thieves, Toad was the worse for wear. The sleeve of his jacket had been torn off; blood, vomit, and other unknown bodily fluids coated his trousers; he smelled as though he had been soaked in gin and ale; and he had more bruises than could be counted at one glance. His drunk had long since worn off, along with any hope of rescue. Most of the miscreants sharing space with him, however, were not sons of dukes, nor barons in their own right. He raised his voice again, not caring whom he disturbed. "I am a marquess! Where is the ambassador?!" It didn&apos;t take long for him to care, when a brute three times his size swiped a beefy hand across the side of his head, adding to the bruising from the fight in a gaming hell that had brought him here. Though none of his wounds hurt as much as the letters bundled into his inner pocket. "Hold yer tongue, toff. Noblemen die easy as all the others. Easier when they&apos;re soft as you." Toad&apos;s voice caught in his throat. He sank into the corner and tried not to imagine dying in a French gaol. Which wouldn&apos;t be happening at all if he hadn&apos;t read the damned letters—three miserable missives in one dismal day—because then he wouldn&apos;t have drunk half the decanter of brandy, nor gone looking for distraction, nor been diverted into a game. If Blakeley hadn&apos;t given him the post, he might have just reviewed the ledgers he was to report on in the morning—if he were fortunate enough to be released by then—instead of going out with Piero and his visiting brother, the Conte d&apos;Alvieri. At least his companions hadn&apos;t been arrested with him when he began a fight over a miserable 500 francs, and Piero had promised to bring Blakeley as soon as he could make it back to their boarding house. For once, he was grateful he hadn&apos;t succeeded in dismissing his father&apos;s spy when he moved from Paris. He pulled the thick stack of letters out of the pocket of his tailcoat, unfolded them, and read them by the earliest rays of morning light in the small barred window set high in the wall. The first, his cousin Jewel&apos;s letter, replying to his note about her husband running amok and accosting young women at house parties. No, not Jewel. He always managed to forget the supercilious demand she had been making since she had married Lord Athol: "Lady Julia, if you please; I am not a child any longer, Toad." No restraint. Unlike Jewel, who had restraint enough to let herself be compromised by the first charming rogue to whisper in her ear, and then demand to be married to the fool, over her father&apos;s objections. She hadn&apos;t even restrained herself to wait for an heir; only a second son, whose elder brother had four boys. Nor had she bothered to investigate Athol&apos;s debts, conveniently allayed with her dowry, or his mistresses, both richer in jewels and wardrobe within a fortnight of his marriage. The same thug who had objected to his shouting was now in a shoving match with another malefactor over the bucket of drinking water in the corner. There&apos;d by none for anyone if they knocked it over. Not that Toad was fool enough to point that out. He turned his attention back to Jewel&apos;s letter, skipping the paragraphs in which she insulted Sally&apos;s friends. That trio of termagents, she called three of them. Despite his misery, Toad had to smile at that. Trio of termagants, indeed. He could be sure there were no cards saying that in the print shop windows. He hadn&apos;t met either Henry or Emma, but he felt like he had, after reading all about them in Sally&apos;s letters. Between Sally and Jewel, he would trust his future wife&apos;s judgment over his cousin—the termagant. Were I you, I would cut short this ridiculous attempt to make yourself into a shopkeeper (what can your parents be thinking? ), for she is making a cake of herself trying to decide which of her cousins she will throw herself at next. The entire ton is aware she spent her virtue with you, before you left so abruptly to keep from being forced to marry her, which is why her cousins are the only gentlemen making honourable offers. This was not so amusing. Not the gossip questioning Sally&apos;s purity and, of course, holding her to blame for Toad&apos;s despicable actions, nor the fact her cousins were making offers. She had far too many eligible bachelor cousins, and Jewel went on to list them all, peppered with snide remarks. Her thrice-damned cousins. 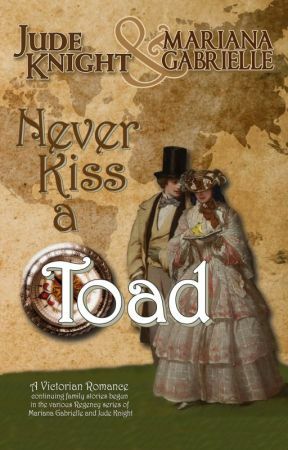 It seemed every eligible man connected to the House of Haverford was being allowed to offer for Toad&apos;s future wife but him. Still, if it were one of them, he could, at least, be sure she would be honourably wed and never mistreated. And if they had risen up en masse to offer for her one by one, he could have hope they were protecting her—though who would protect them from Sally if she discovered such a plot, Toad could not guess. The fight in the corner had not degenerated beyond insults, and the combatants had now retreated as far as they could from one another. Which meant his assailant&apos;s opponent had taken the spot beside him. Toad turned his head away and hunched his shoulders over his letters. The smell was indescribable, though Jewel&apos;s words were ranker, if it came to that. At least Sally&apos;s cousins were standing for her, and just as well if Jewel was not exaggerating about the other suitors. Outside her family, of course, the rakes are circling, Lord Joseph Gildeforte at the front of the pack, for even a duke&apos;s daughter is fair game once she has ruined herself. And do not mistake me; she has ruined herself (or rather, you ruined her, like the unconscionable degenerate you have always been). 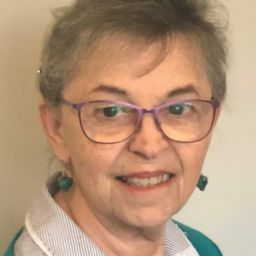 Haverford has kept the matter out of the throne room, and you clearly did not leave her with child, but she will be lucky to end up Gills&apos; mistress before she is done. At least he has the coin to keep her in the style to which she is accustomed. Gildeforte was after Sal? There was a horrifying prospect, far worse than any of her cousins. If Toad hadn&apos;t ruined her—and he hadn&apos;t, by God—Gills would do so without compunction, as soon as it was practicable. And he wouldn&apos;t be after her dowry. She really would have to marry one of her cousins. Jewel was a bitter, nasty, spiteful harpy, who would say anything to avenge the slightest grudge, but she had her finger on every bit of gossip in Polite Society. If she had so much ammunition to fire at Sal, there was no chance it was all fabricated, though Toad doubted she would publicly attack Sally. His mother would put a stop to it in moments if she did, and the Duchess of Wellbridge was the only person on Earth—with the possible exception of Uncle Firthley—who could control Jewel or her mother, Toad&apos;s Aunt Charlotte. The problem was, Toad couldn&apos;t know how much of Jewel&apos;s letter was true, and which were his cousin&apos;s foul lies. Nor how much was already being bandied about the drawing rooms of London. He folded Jewel&apos;s letter and slipped it back into his pocket, forgiving her, at least to a small degree. His rancorous cousin was surely only taking the anger out on him that she couldn&apos;t unleash on her husband without inviting a vicious beating. Lord Athol was a menace. Someone needed to call him out, and Toad couldn&apos;t understand why his uncle hadn&apos;t done so already to protect his daughter. If Toad were in London, he would gut the man, even if it would be a boon to the  trying to drive a wedge between him and Sally. But he wasn&apos;t in London, and he couldn&apos;t help Jewel—even if he convinced himself he wanted to. He could not even help himself tonight, stuck as he was in this hellhole. Would no one come to save him? What had become of Piero and the conte?